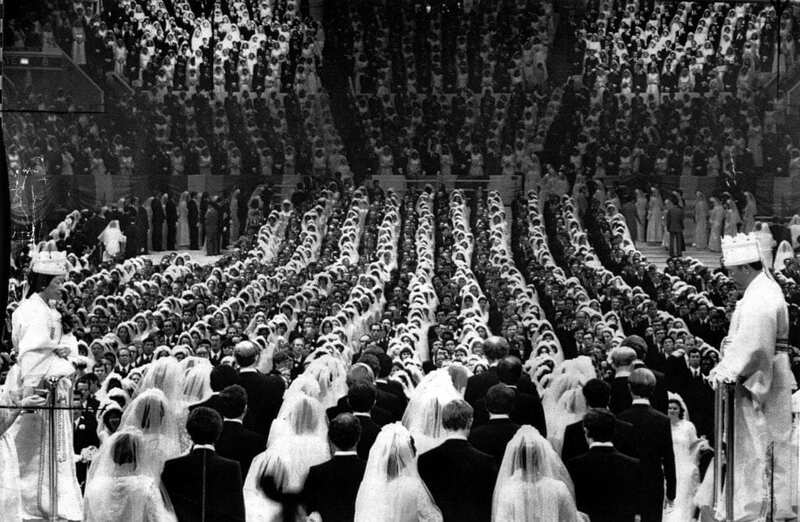 A Moonie Mass Wedding – Moonie Brainwashing? Or just a Minority Religious & Cultural Pursuit Outside of the Mainstream? The following is a compilation of scientific studies which have thoroughly debunked the idea of ‘brainwashing’. This settled science has been completely ignored by members of the anti-cult movement who, for their own various self-interests, keep the superstition of “brainwashing” alive – no matter how many ex-members of minority religions it has harmed. The below is taken from a 2006 paper called “The Market for Martyrs” by Laurence R. Iannaccone of George Mason University. The purpose of this paper was to look at the dynamics of “cult involvement” where it counts – terrorist suicide bombers. What better example of ‘cult brainwashing’ could there be than convincing someone to kill themselves for the group? Surely, if cult brainwashing exists, it would exist here, right? I think this is good data for an Ex-member to think with. It’s certainly better than the dominant ideology offered to day on the Internet. I hope you can use this to clarify some issues facing Exes of all minority religions who’ve come into contact with the ideology of the anti-cult movement, and who thought they had no alternatives in sorting out what happened to them after their own loss of faith. It took a mountain of empirical evidence to establish that cult conversion and retention were largely matters of choice, and rational choice at that. Scholars initially viewed rational choice as the least likely explanation for anything as bizarre and costly as cult membership. If converts lacked histories of ignorance, deprivation, grievance, alienation, or mental abnormality, then they must be victims of extensive indoctrination, extreme social pressure, and systematic psychological persuasion that overwhelmed their capacity for rational choice. The most popular variant of this view came to be known as the “brainwashing” or “coercive persuasion” theory of conversion. The term “brainwashing” was introduced in the 1950s to describe the indoctrination methods that Chinese and Korean communists used to elicit false confessions and political repudiations from prisoners of war. These victims were indeed coerced – held in confinement, deprived of food, water, and sleep, often tortured, threatened with death, and thereby forced to act, speak, and perhaps even think in ways that bore little relationship to their original beliefs and commitments. 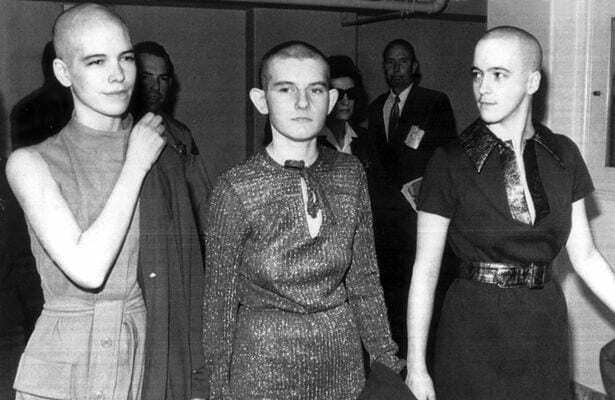 In the 1970s, however, Margaret Singer (1979), Richard Ofshe (1992), and others re-introduced “brainwashing” to describe the recruitment practices of the Moonies and other so-called cults. 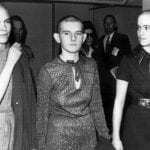 A spate of lurid books and news reports painted the Moonies as masters of mind control who duped and kidnapped unsuspecting youth, and forced them to attend indoctrination camps. Captive, sleep-deprived, and buzzed on sugar, the recruits were subjected to mind-numbing lectures, repetitive chanting, “love bombing,” and other insidious practices that overwhelmed their judgment, individuality, and personal will. The truth, however, bore no relation to the sensational stories. NRM’s did indeed devote tremendous energy to outreach and persuasion, but they employed conventional methods and enjoyed very limited success. By the mid-1980s, researchers had so thoroughly discredited “brainwashing” theories that both the Society for the Scientific Study of Religion and the American Sociological Association agreed to add their names to an amicus brief denouncing the theory in court (Richardson 1991). The brainwashing myth collapsed under the weight of numerous case studies. One of the most comprehensive and influential studies was The Making of a Moonie: Choice or Brainwashing? by Eileen Barker (1984). Barker could find no evidence that Moonie recruits were ever kidnapped, confined, or coerced. Participants at Moonie retreats were not deprived of sleep; the lectures were not “trance-inducing”; and there was not much chanting, no drugs or alcohol, and little that could be termed “frenzy” or “ecstatic” experience. People were free to leave, and leave they did. This is not to say that outreach always failed. Some conversions did occur, and they followed consistent patterns. In place of the sensational stories and traditional theories, the case studies identified social networks and social capital as key to effective recruitment and retention. Later I shall argue that the same social processes operate in militant religious groups, including those that employ suicide-attacks. The seminal work on cults, conversion, and social networks came from yet another study of the Moonies. By sheer luck, John Lofland and Rodney Stark (1965) chose to study the group back in the mid-1960s, when it was still microscopically small – a dozen young adults who had just moved to San Francisco from Eugene, Oregon. The group was led at the time by Young Oon Kim, a former professor of religion in Korea who had come to Oregon in 1959 to launch the Unification Church’s first American mission. Lofland and Stark discovered that all the current members were united by close ties of friendship predating their contact with Miss Kim. The first three converts had been young housewives and next door neighbors who befriended Miss Kim after she rented a room from one of them. Subsequently, several of the husbands joined, followed by several of their friends from work. When Lofland and Stark began their study, the group had yet to convert a single stranger. This recruitment pattern was not what the Miss Kim had sought or expected. During her first year in America she had tried to win converts through lectures and press releases. Later, in San Francisco the group also tried radio spots and public meetings in rented halls. But these methods yielded nothing. All the new recruits during Lofland and Stark’s period of observation were old friends or relatives of prior converts, or people who formed close friendships with one or more group member. Proselytizing bore fruit only when it followed or coincided with the formation of strong social attachments, typically family ties or close personal friendships. Successful conversion was not so much about selling beliefs as it was about building ties, thereby lowering the social costs and raising the social benefits associated with changing one’s religious orientation. The converse was also true. Recruitment failure was all but assured if a person maintained strong attachments to a network of non-members. Many people spent time with the Moonies and expressed considerable interest in their doctrines but never joined. In nearly every case, these people had strong ongoing attachments to non-members who disapproved of the group. By contrast, those who joined were often newcomers to San Francisco and thus separated from their family and friends. “In short, social attachments lie at the heart of conversion, and conversion tends to proceed along social networks. This discovery has been replicated in scores of subsequent studies all over the world, with groups as varied as the Hare Krishna, Divine Light Mission, Nichiren Shosha Buddhism, a UFO cult, fundamentalist Christian communes, Mormons, Catholic Charismatics, Christian Scientists, and the Bahai (Robbins 1988: 80). The law likewise predicts that as long as people remain deeply attached to the social networks of one faith, they rarely ever switch to another faith. Thus, the Mormon missionaries who called upon the Moonies were immune to the appeals of Miss Kim and her followers, despite forming warm relationships with several members. The typical convert was religiously unattached, and most were not actively searching for answers to religious questions. The Moonies quickly learned that they were wasting their time at church socials or denominational student centers. They did far better in places where they came in contact with the unattached and uncommitted. This finding too has been replicated in subsequent research (see Stark and Bainbridge 1985; Stark and Finke 2000). Hence, new religious movements draw most of their converts from among those who are religiously inactive or only loosely attached to their current religion. “Ideological pressure often leads converts to construct testimonials of the ‘I once was lost but now am found’ variety.” These retrospective accounts are best seen as products of the converts’ new identities rather than descriptions of their antecedents.13 Social attachments are the horse that pulls the cart of ideological change. Because conversion is a social process, it rarely is sudden. Instead, people who have encountered a new religion through their friends or family go through a gradual process of learning and listening and questioning before finally embracing the new faith. Typically, they take a quite active role in this process.14 Conversion involves introspection as well as interaction. People question, weigh, and evaluate their situations and options. Nor does the introspective process end with early professions of faith. Members of religious groups continue to assess their commitment, and many recant. Having reviewed several of the case studies that demolished major myths about cult conversion, let us consider the applicability of these findings to suicide bombing and radical Islam. In light of what we know about cults, and what we are learning about suicide bombing, I conjecture that nearly all of the following behavioral regularities carry over from deviant cults to the militant religious groups that perpetrate acts of terror. Typical converts are not plagued by neurotic fears, repressed anger, high anxiety, religious obsession, personality disorders, deviant needs, and other mental pathologies. Typical converts are not alienated, frustrated in their relationships, or lacking in social skills. Typical converts are young, healthy, intelligent, with better than average backgrounds and prospects. People with strong ties are very unlikely to convert – included those who are married with children, home-owners, people well-established in their jobs, occupations, and neighborhood. Groups tend to grow through pre-existing social networks. Social barriers (whether economic, regional, ethnic, language, or religious) tend to block paths of recruitment. New religious movements draw most of their converts from among those with low levels of religious activity and commitment. Conversions are almost always incremental, although behavioral changes may be fairly sudden. The form and timing of institutionalized rites of passage (such as baptisms or public testimonies) rarely corresponds to the actual form or timing of conversion. The conversion process often involves reinterpreting one’s own life story so as to emphasize past levels of discontentment, sinfulness, or spiritual longing. Belief typically follows involvement. Strong attachments draw people into religious groups, but strong beliefs develop more slowly or never develop at all. High rates of involvement and sacrifice can coexist with doubt, uncertainty, and high probability of defection. Intensity of commitment is not synonymous with certainty of belief or stability of attachment. Those who leave radical groups after weeks, months, or even years of membership have little difficulty returning to normal activities, beliefs, and relationships. Recent studies on religiously-oriented terrorism confirm many of these conjectures, and the mass of relevant evidence continues to grow. The most striking results concern the personal characteristics of suicide bombers, the role of groups, and the importance of social networks. Studies have likewise established the critical role of intense groups in recruiting, training, and directing suicide bombers. David Brooks (2002: 18-19) aptly describes Palestinian suicide bombing of the past several years as “a highly communitarian enterprise … initiated by tightly run organizations that recruit, indoctrinate, train, and reward the bombers.” Although the organizations seek to motivate potential bombers in many ways, the “crucial factor” is “loyalty to the group,” promoted by “small cells” and “countless hours of intense and intimate spiritual training.” As Kramer (1991) has emphasized, the “social dimension” was no less crucial in the Lebanese suicide attacks of the mid-1980s. Although these “‘self-martyrs’ sacrificed themselves, they were also sacrificed by others … [who] selected, prepared, and guided” them. For more on the activities of the bomber’s “sponsors,” see also Hoffman (2003: 43). The role of social networks is most thoroughly documented in Understanding Terror Networks by Marc Sageman’s (2004), a forensic psychiatrist, PhD. political sociologist, and former Foreign Service officer who worked closely with Afghanistan’s mujahedin. Sageman documented what he calls the “global Salafi jihad” based on numerous sources, including biographical information that he collected on 172 radical Islamic terrorists. 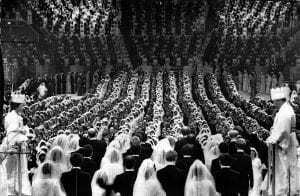 His results confirm that, as with cult converts of the 1970s, nearly all these people were recruited through existing social networks.17 Moreover, the vast majority were “cut off from their cultural and social origins, far from their families and friends” when they joined (p. 92). Preexisting ties also determined the small cells that perpetrated subsequent acts of terror, including the Hamburg cell responsible for the September 11 attacks. Indeed, Sageman has mapped the entire jihad as a globe-spanning network of cells linked through four major hubs. Click here to see all posts on AlanzosBlog on the topic of social science on “cults”. Alanzo is an Ex-Scientologist who sees the same tribalism he escaped in Scientology rising up in Anti-Scientology. Out of all the lessons he learned by escaping Scientology, he learned one lesson harder than any other: Never let your tribe do your thinking for you. Alanzo writes from the battlefield of the war between Scientology and Anti-Scientology. Anna on Does Anti-Scientology Deserve Any Criticism? What Did Mike Rinder Do When He Worked for the Office of Special Affairs? If Anti-Scientologists Love Science So Much, Why Don’t They Use It? Alanzo writes from the battlefield of the war between Scientology & Anti-Scientology. 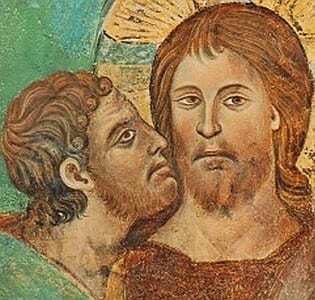 Apostasy – What is That, Exactly? © 2019 AlanzosBlog.com. All Rights Reserved.